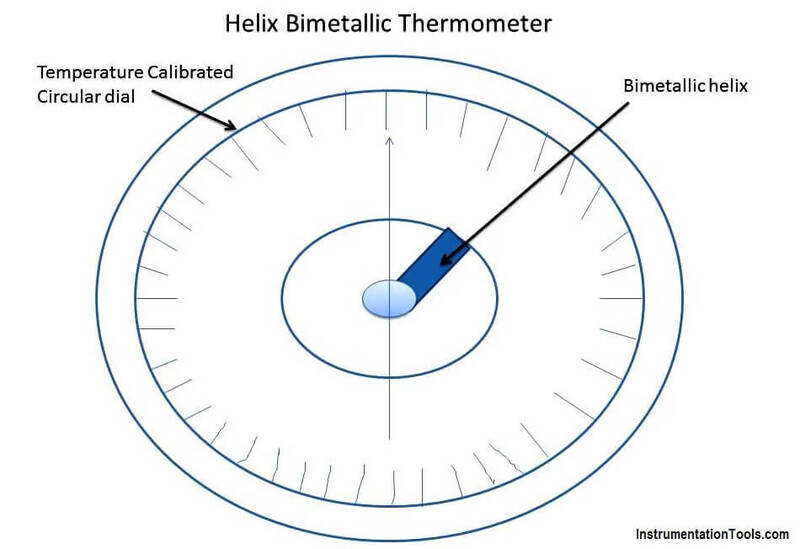 When a bimetallic helix fixed at one end and free at the other end is subjected to a temperature change, the free end of the bimetallic helix deflects proportional to the change in temperature. This deflection becomes a measure of the change in temperature. A bimetallic helix which is fixed at one end to the body of the instrument and free at its other end. To the free end of the bimetallic helix is attached a shaft. 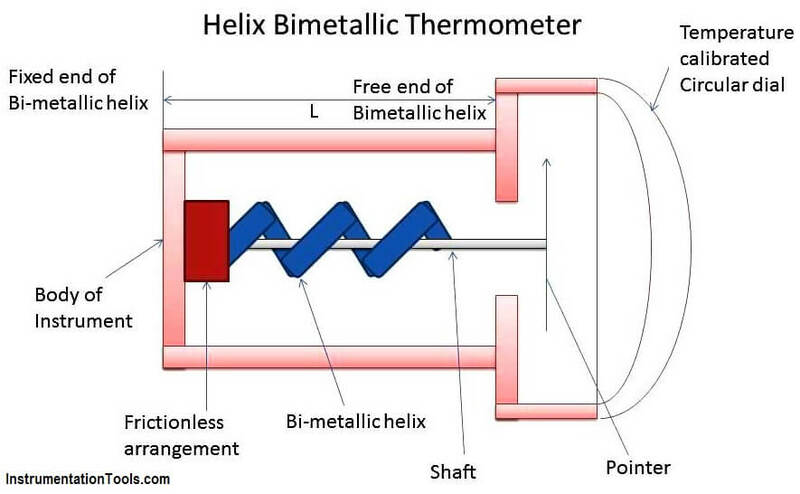 One end of the shaft is mounted in friction less arrangement and its other end is connected to a pointer which sweeps over a temperature calibrated circular dial graduated in degrees of temperature. The bimetallic helix senses the temperature and expands resulting in a deflection at its free end. This deflection at the free end of the bimetallic helix rotates the shaft connected to it. When the shaft rotates , the pointer attached to the shaft moves to a new position on the temperature calibrated dial indicating the measured temperature.